Set their spirits up with this vibrant bouquet of fun and joy! 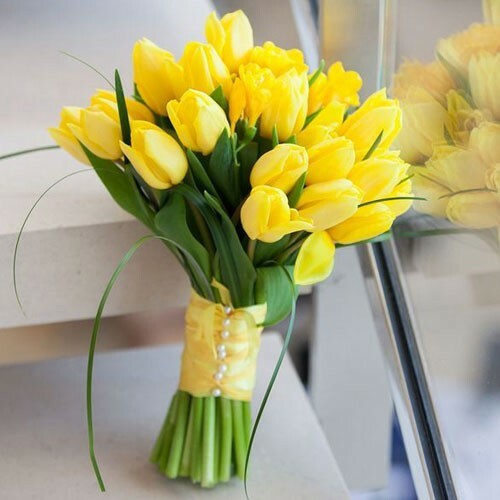 This I Love Holland yellow tulips bouquet creates a happy display of Springtime beauty. This flower bouquet is hand arranged in a classic hand bouquet, in a bright display that sends sunshine to your special recipient, showing them just how much you care. Send some "happy" their way! What a better way to show express your sentiments.